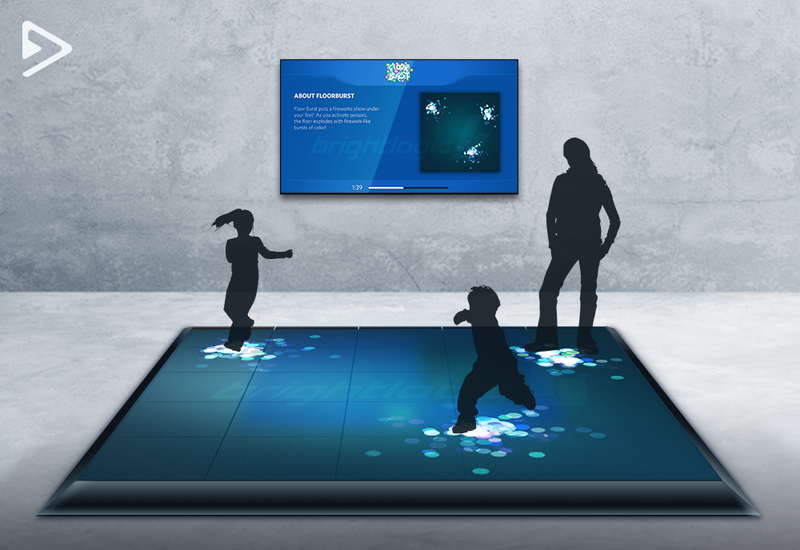 Introducing Arcade, an ActiveFloor System with live scores, leaderboards, and more! We've taken the ActiveFloor to another level and incorporated the most exciting experiences of playing games into our own ActiveFloor Arcade. Arcade includes riveting new gaming content, new visual features such as Live Scores, Leaderboards and more. Arcade is a Plug-n-Play system which is easily installed. The ActiveFloor System has a proven track record of delivering a solid system that doesn't require daily maintenance; it just works! Request your very own Arcade System! The Arcade Premier System Setup is featured here to showcase everything Arcade offers; the System comes complete with high-resolution interactive floor panels, 10" wide transition ramps, and live game board content. All Arcade Systems includes our High Performance Content Server and the latest Video Controller which provides fluid content and extremely fast response time. 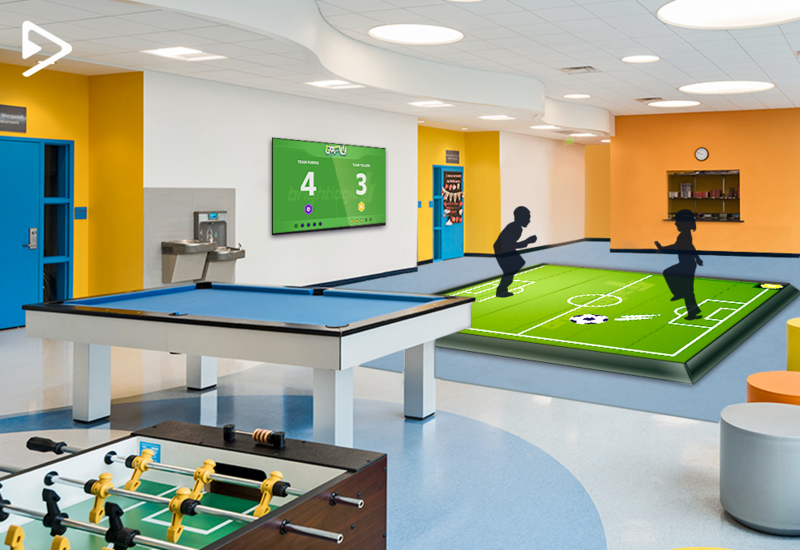 An ActiveFloor Arcade Pro System Setup is used in this Teen + Kids Learning Environment/Club to promote engaging activities between children. This Tech-inspired Gym uses a custom Arcade Setup to fit their needs. The Gym uses two ActiveFloors controlled by a single server, so their members can utilize the floor side by side. This Entertainment Space is chocked full of fun and entertaining games which is why the Arcade Basic System Setup works so well; a smaller amount of space that delivers a big dose of fun! Ready for your Arcade Setup?